"You count fish don’t you?" "It's something to do with dolphins!" "Wind turbines!" This is just a few of the eloquent and descriptive ways my friends and family have described my previous role in marine licensing at the MMO. Whilst not entirely inaccurate this doesn’t quite encompass the complex range of activities that the role fully encompassed. In fairness this is an understandable reaction. I have to admit, when I first started my new role I was overwhelmed. I had heard of terms such as sprint, agile and discovery been thrown around. I had witnessed the evolution of agile workspaces (which on first glance appears to be a new interior design trend) and wondered why people kept ritualistically huddling together in small groups at the same time every day. My first week was a whirlwind of learning. I felt like the new kid who had been dropped in to a new school half way through the term! I even had the equivalent of the poor kid assigned to chaperone me around and introduce me to people. There were people to meet, a discovery deck to catch up on (deck means power point) and it wouldn’t be the civil service without a whole heap of acronyms to learn! It's safe to say that I left most days with my brain feeling like it was seeping out of my ears. By the time week 2 had come round I had started to get the hang of this agile way of working. The religious adherence to daily stand ups made sense, they really helped bring the team together enabling us to share our achievements from the previous day and highlight the plan for the coming day. This helped the team work more collaboratively even when separated by location. The aggregation of time in to sprints (2 week period) helped everyone stay focused. We had a plan for that sprint and we had goals to achieve. The use of tools such as Jira, confluence and Huddle were a revelation. The service I was asked to work on was export catch certificates. These are currently required for fish being exported to 8 countries. After we leave the EU, fish going to Europe will likely need an export catch certificate. This means what is currently a small scale operational process (300 a year) will need to be upscaled to accommodate over 21,00 a year. After learning the ropes and getting fully up to speed it was time to get really involved. Which meant learning how to undertake user research. The beauty of agile project management and the Government Digital Service principles are they put the user firmly at the centre of the service design process. It was therefore decided that the best way for me to understand the service we were building would be to go and talk to potential users. The first trip saw us undertake a whistle stop tour of Scotland, taking in the sites of Eyemouth, Edinburgh and Oban. 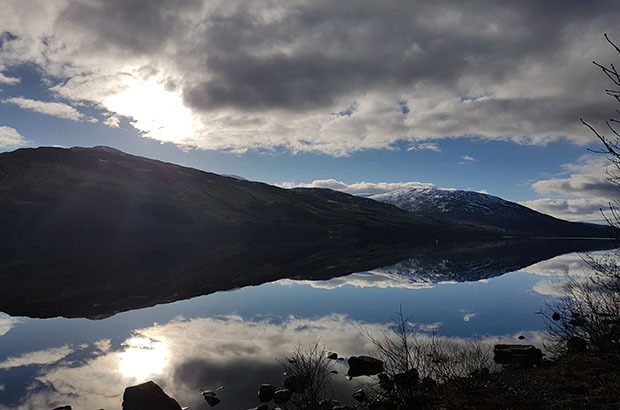 In true Scotland style the sun was shining and the sky was blue (in my experience Scotland is always sunny) which meant we could truly appreciate the breath taking scenery as we drove across Scotland and in to Oban. 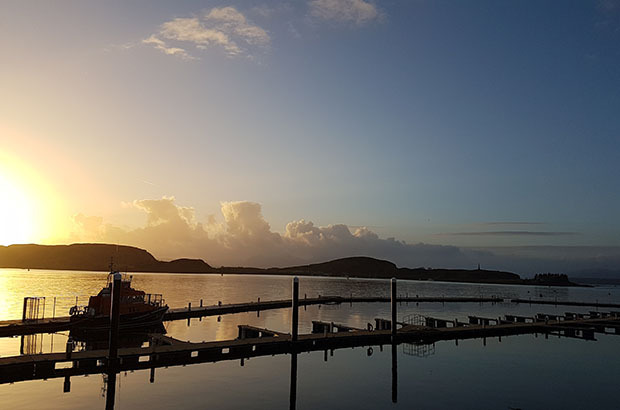 We spent a full day in Oban talking to a range of stakeholders who highlighted the challenges they face in their line of work and their concerns around what a future digital service might mean for them. For me the session really helped me understand the complexity of the export business and provided some really interesting edge cases, the most popular one being titled Harry the Prawn and his trip to Spain. Stories such as this are useful to understand the system and how it would interact and work with existing processes. In this case ensuring end to end traceability of a product (Harry) from catch to market. 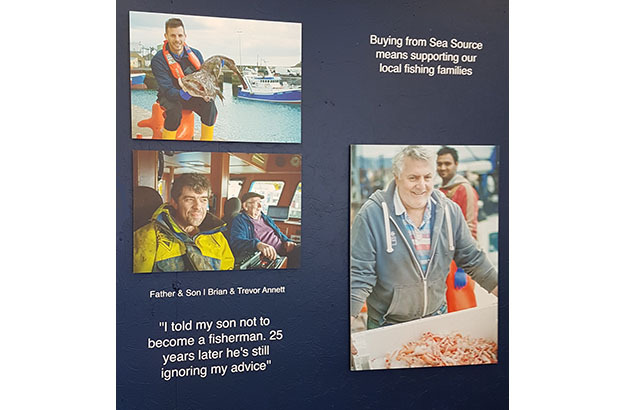 Trip number 2 saw us fly to Ireland where we were met by Ciaran a fisheries officer for the Department of Agriculture, Environment and Rural Affairs (DAERA) at Kilkeel harbour. 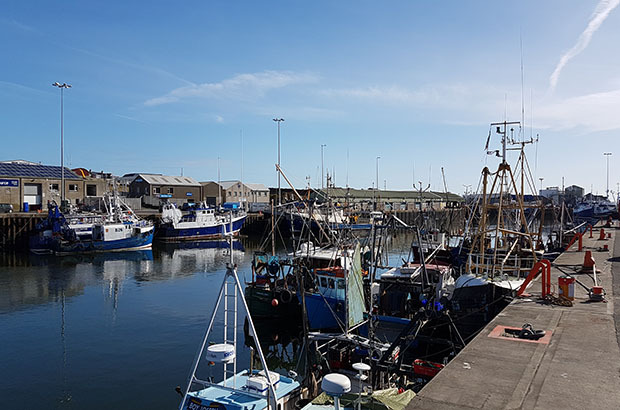 Again the weather was lovely which made for a pleasant day walking around the harbour, meeting merchants and exporters and discussing their businesses. The main goal for me was to understand and map each exporter’s end to end journey. This detailed level of understanding helps the team to put themselves in the shoes of the users which in turn helps foster empathy and understanding when mapping out the user journey and the possible pain points they may experience. It's safe to say my first months as a Service Designer have been jam packed with learning, new experiences and new challenges. I have had my eyes opened to the huge array of work that is going on across the organisation to continually improve the services we are offering. Whilst slightly daunted I am excited to be a part of that process. One of the key things that I have learnt is that you don’t need to be specifically involved in transformation projects to make a contribution to change. Want to now more about the work of the MMO? sign up to receive our updates by email.